Starting from the very beginning back in 1987, it was founder Judy Bell who suggested using sheep’s milk as an alternative to cow’s milk and back on the family farm, with the blessing of her husband Nigel, and his father “Grandad Eric”, Judy’s table top enterprise began. 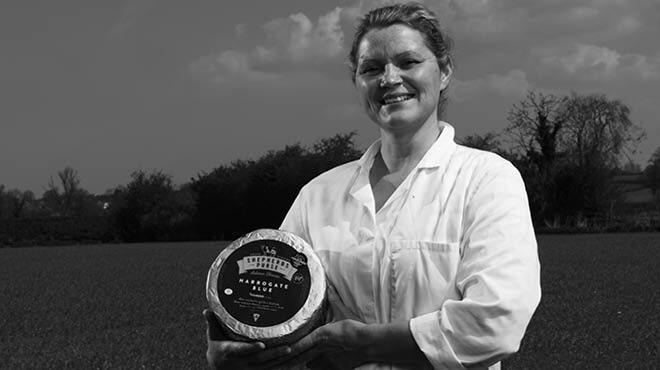 Taking great pride hand-crafting delicious, flavourful artisan cheese – some may say Yorkshire’s finest – it’s no surprise that Shepherds Purse has become the multi award winning cheesemaker it is today. From its humble beginnings, they have since grown and the team now numbers 35. Run by Judy’s two daughters, Katie and Caroline, who remain very much still on the family farm, it’s here they oversee the proudly artisan production of their 8 hand-made cheeses. In an ordinary workplace, creativity might be known as blue-sky thinking. 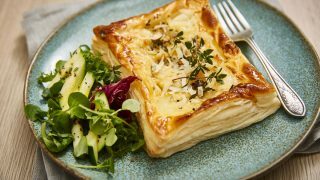 At Shepherds Purse they do the green field version, inspired by putting great-quality sheep, cow and goat milk to the best possible use. “We don’t make territorial cheeses,” says Caroline. 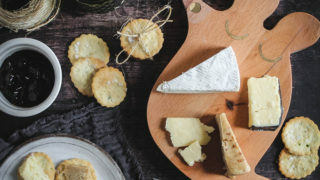 “We’ve created our own unique cheeses, developing traditional recipes and adding our special methods to make them our own. Innovation is core to what we do.” Yorkshire Blue, a buttery, mild blue made from cows’ milk from Yorkshire farms, and its complex, slightly salty sheeps’ milk sister Mrs Bells Blue, are among their best-known cheeses.